SUPER WINTER SALE!!... ONLY $4.95!! 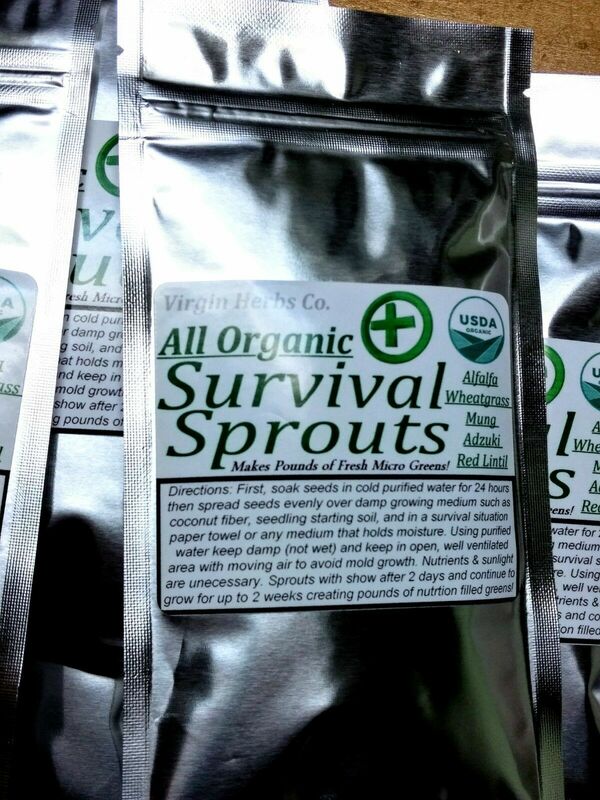 Complete Nutritional Needs in any climate. Anywhere in the world. Any time of year! Packed full of amazing nutrients vital to the human body and a great health food but more importantly; They will sustain you and your family in a long term survival situation. It doesn't matter if it's the middle of the winter in Antarctica... You can grow greens!!... 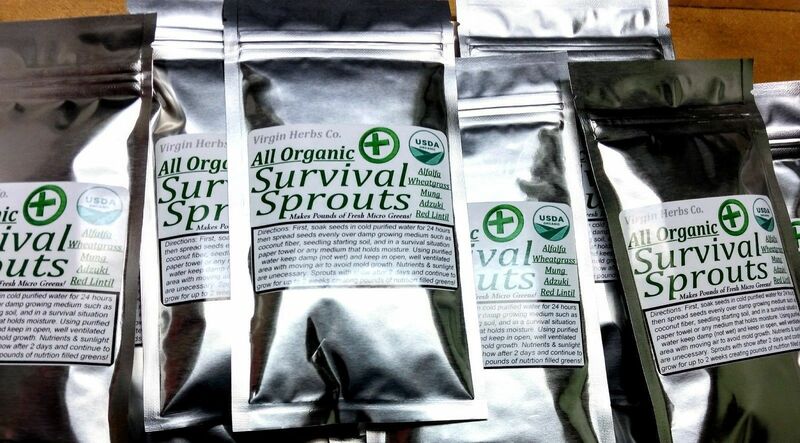 You need no sunlight... No nutrients... You only need a little water and this 2.5oz pouch Organic Seeds has the ability to grow pounds of nutrient packed Micro Greens!! Each individual pouch is designed to cover a 12"x12" tray, grow POUNDS of greens and has the power to keep you healthy, strong, & balanced when you need it the most! 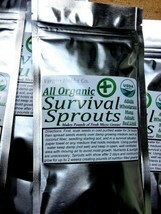 We have designed this five seed blend to almost immediately provide nutrition and keep giving! 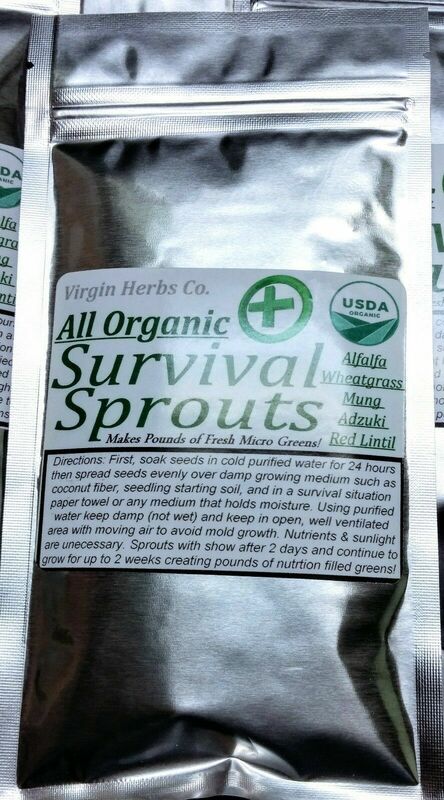 The first sprouts can be ready to eat after only 2-3 days, and then (one after another) each bean will sprout and continue producing for about 2 weeks! Micro Greens offer a TON of amazing health benefits and this blend works great for someone who just wants fresh, organic, healthy greens! BEST SALE PRICE EVER OFFERED!!.. *Thank you for choosing us! We know their is a lot of people and places to buy from and we promise to do our best to offer the best service at the lowest price possible. We are not a Mega-Seller and our customers ALWAYS come first! If you ever have any questions please feel free to contact us anytime!